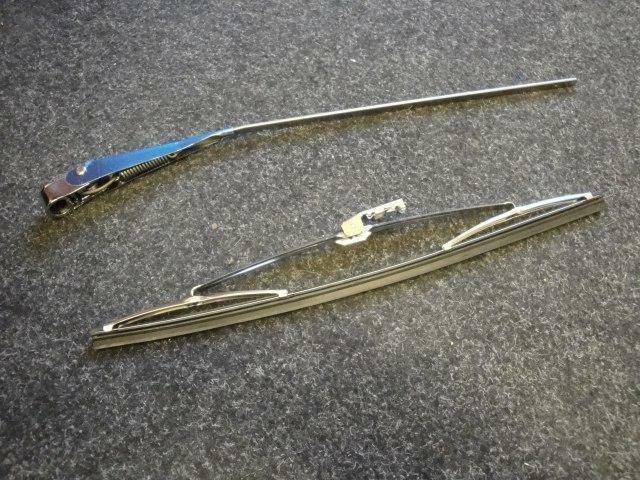 We can supply all your Bodywork requirements, either for a pre-65 or later wide Body Car. 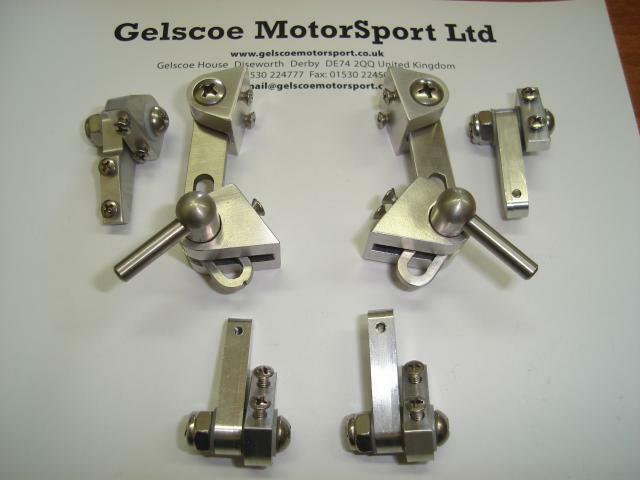 Different weights are used for the application you need, for example – Race, Road or Rally. 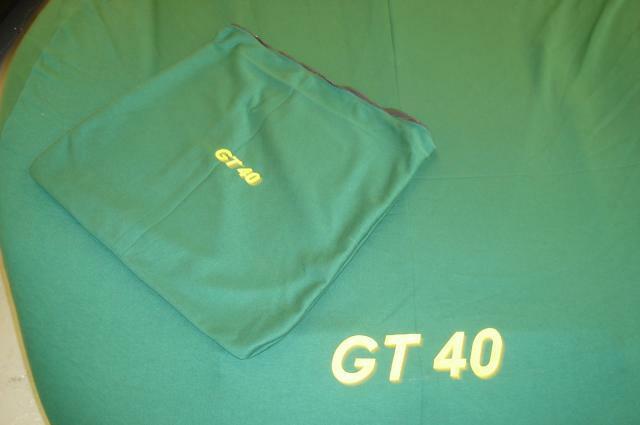 Supplied in any colour Gel Coat. 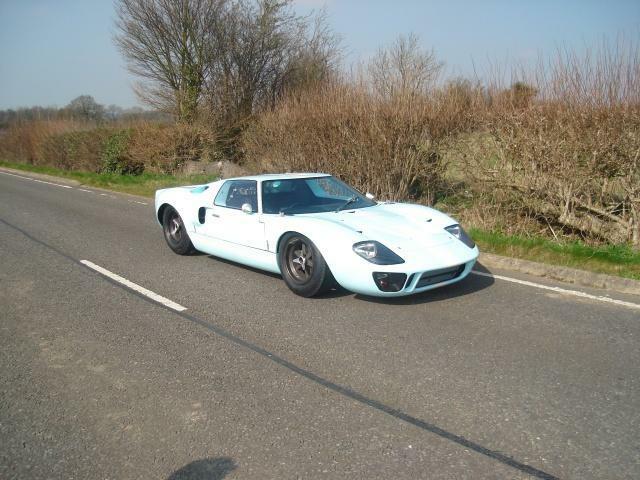 Wide arch Body and Sills. Headlight Covers, Spotlight Covers, Side Windows and Rear Window. 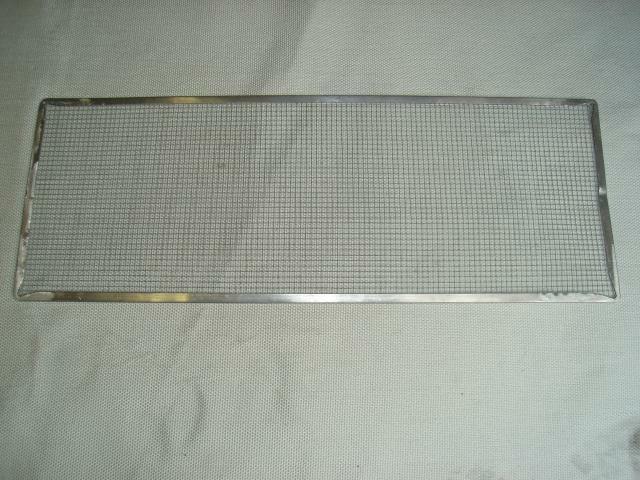 Screen( laminated , 5) , Seatback Bulkhead Window and Aluminium Glass surround. 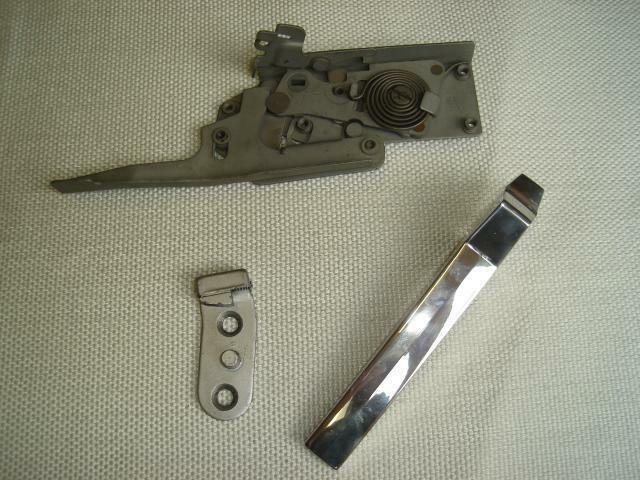 Original Side Window Furniture, to open small square Window Flap. 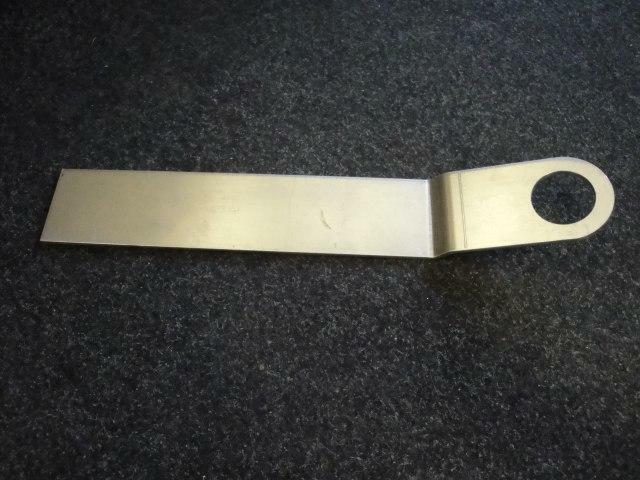 Original style Aircraft Body Catches, can be fitted to front and rear Bodywork. 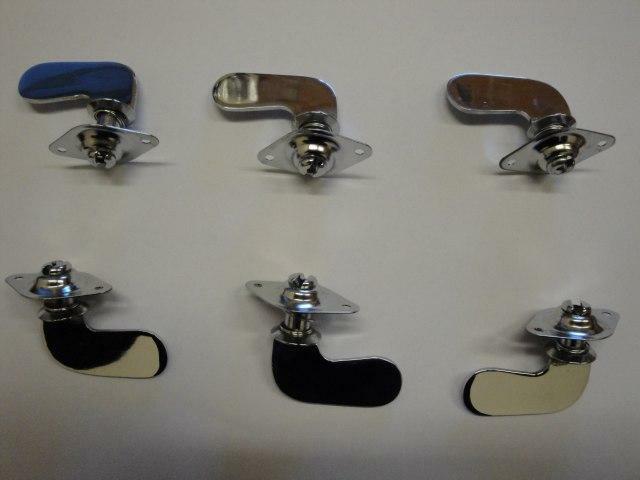 Original Door Locks and Handles. 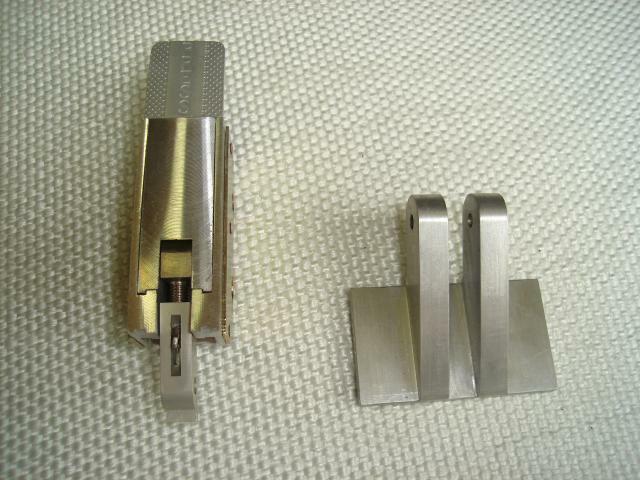 Mountings to swing rear Body section. 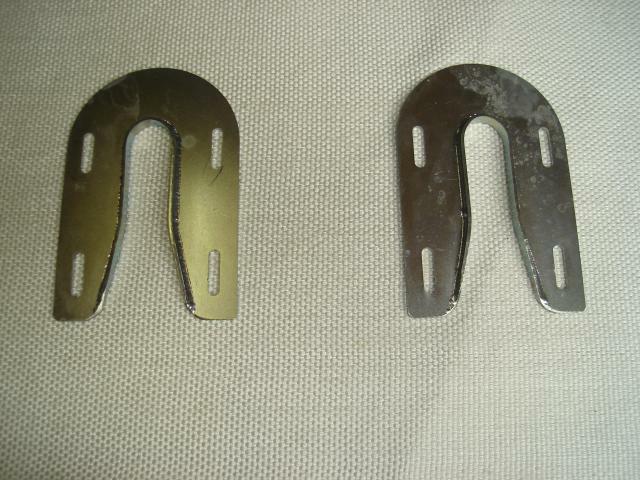 Mounting Plates to fit Nose section. 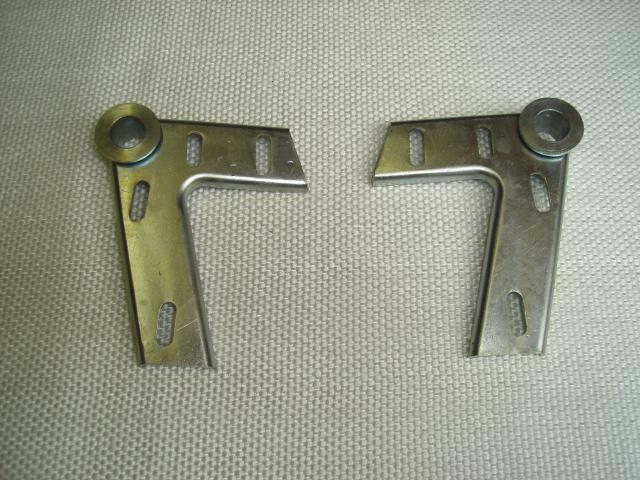 Original style Door Hinge Brackets. 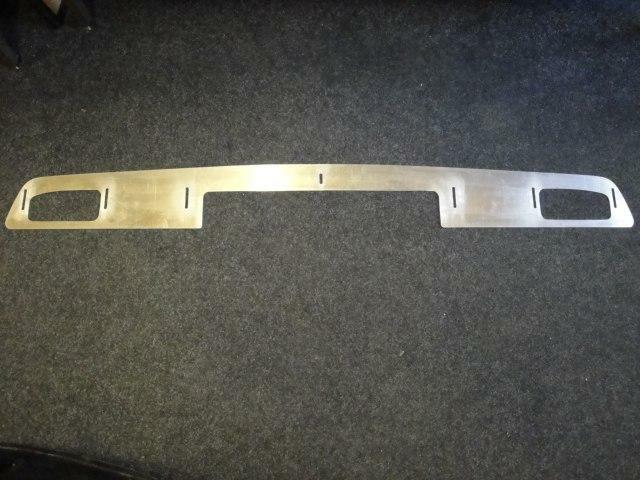 Original style Stone Guard, made from Aluminium. 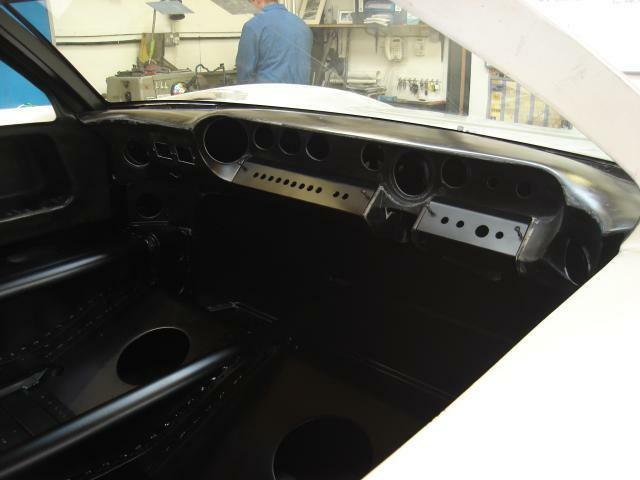 Fibreglass Dashboard moulded to the original design. 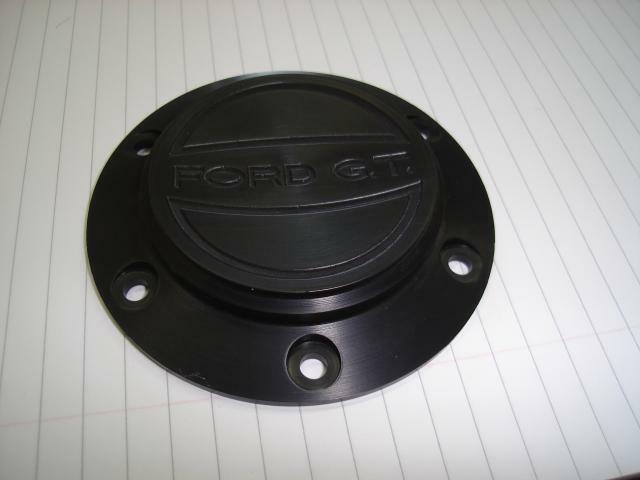 Used on the very early GT40s, black with FORD GT machined into the middle section. 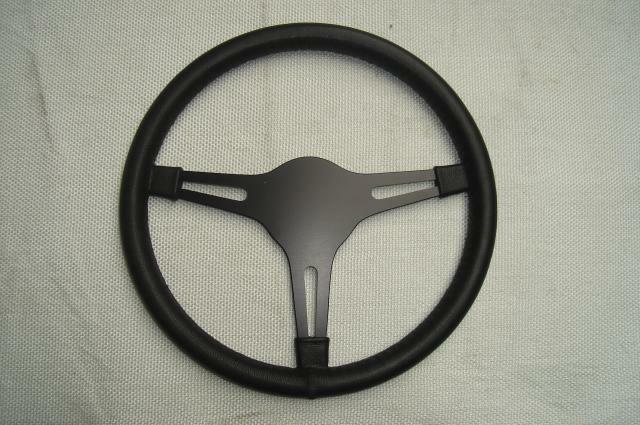 Exclusive to Gelscoe Motorsport these Steering Wheels can be used for either Road, Race or Rally. Trimmed in Black Leather. 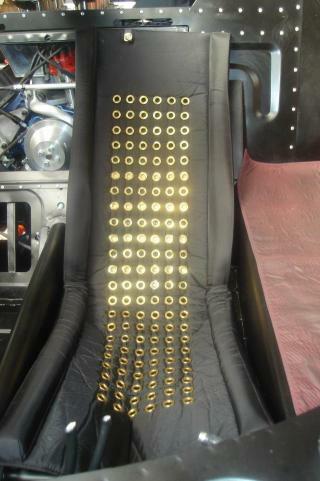 Original style Seats made in the original Parachute material. Produced in either black or blue – black material. Delivered with Webbing to clip into Chassis. Hand made to suit your car. Can be produced in any colour. fleeced lined for extra protection. 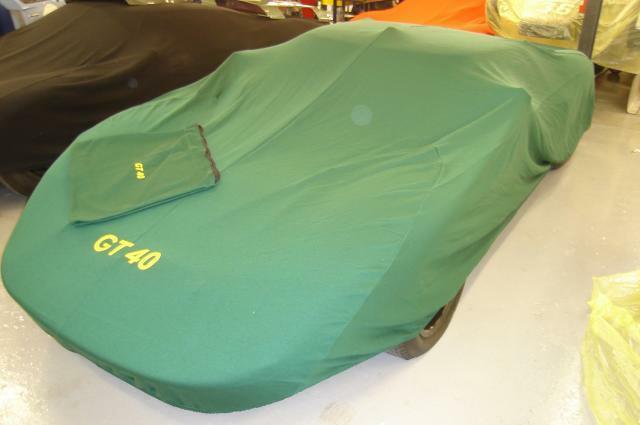 Detail can be added to the outside of the cover, which can also be added to the bag that the cover is kept in. 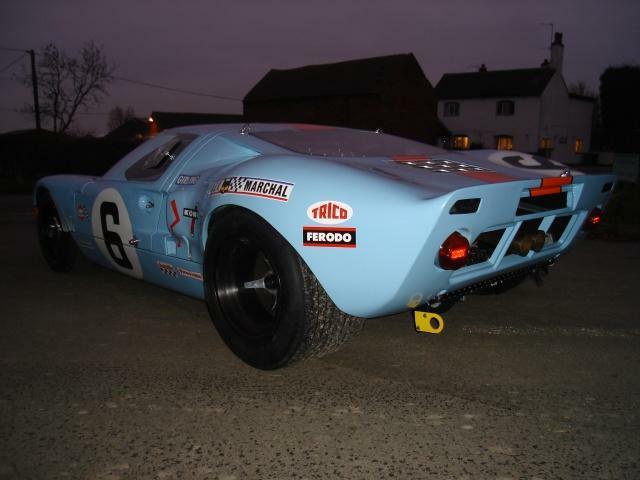 Designed by Gelscoe to fit into the front nose area, but still keep the standard front end shape intact. 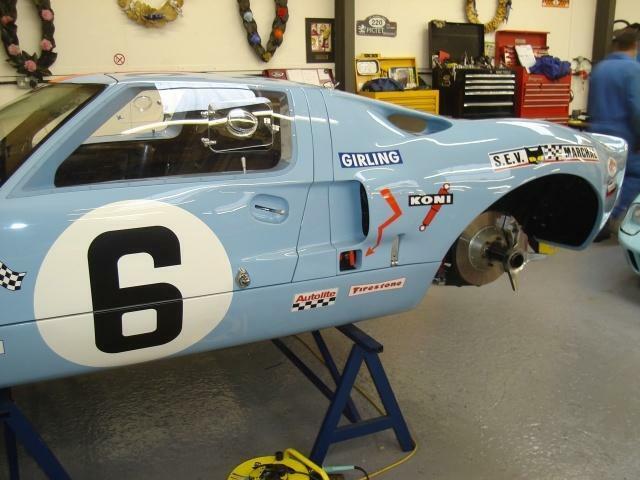 Produced from an original Le mans tail Gurney. 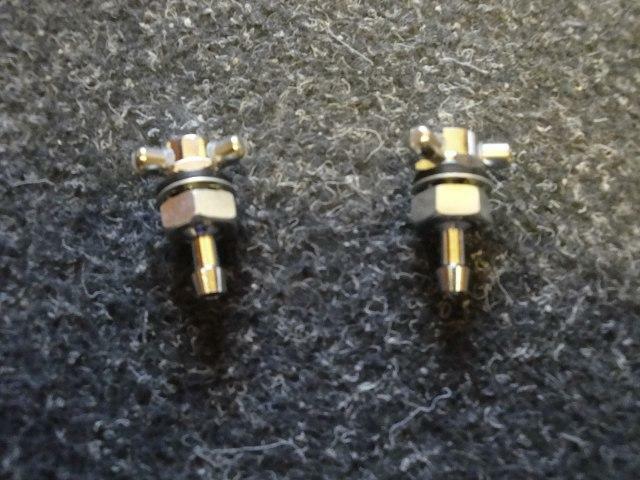 Period style washer jets.. bolt in fitting. 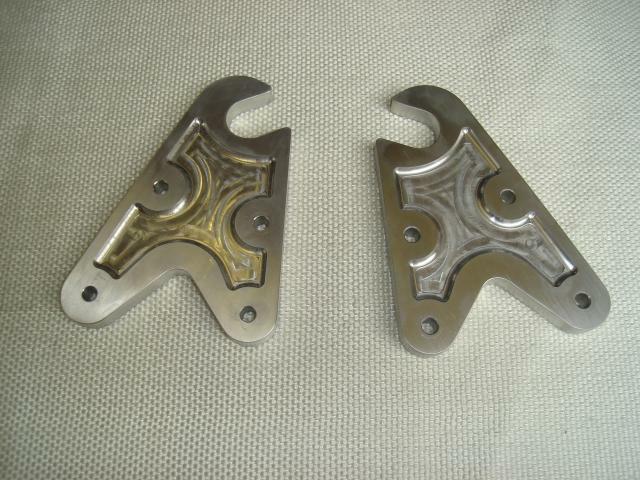 Period style wiper arms and blades. 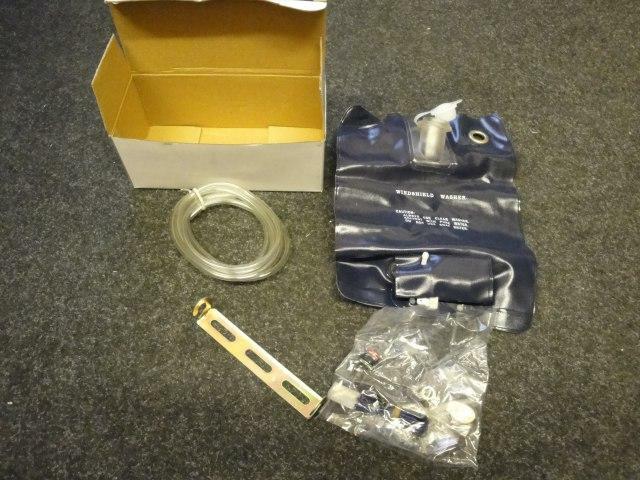 Screen wash fitting kit, includes: bag, bracket, pump, switch, wires, electrical plugs, T piece and pipe. Fits to our screen wash nozzles. 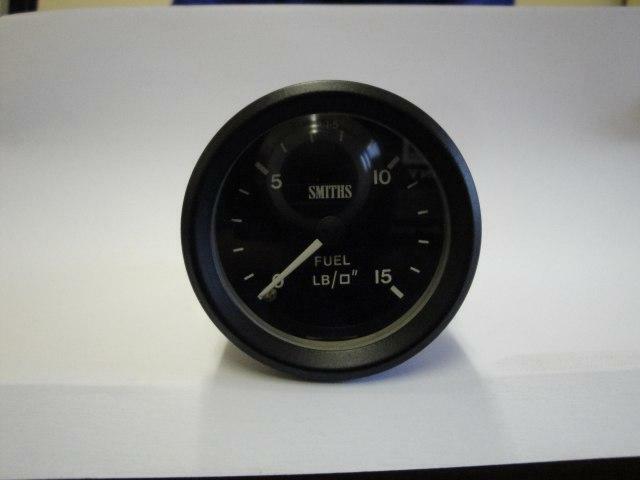 Period looking fuel pressure gauge designed by Gelscoe to give a retro look.